Site Reporting helps you to track and analyze your sites to ensure they are driving business and bringing content to the right pages. See the number of indexed pages over time for your site and your competitors’ sites. Identify and address content or technical issues to ensure all your pages are discovered by search engines. 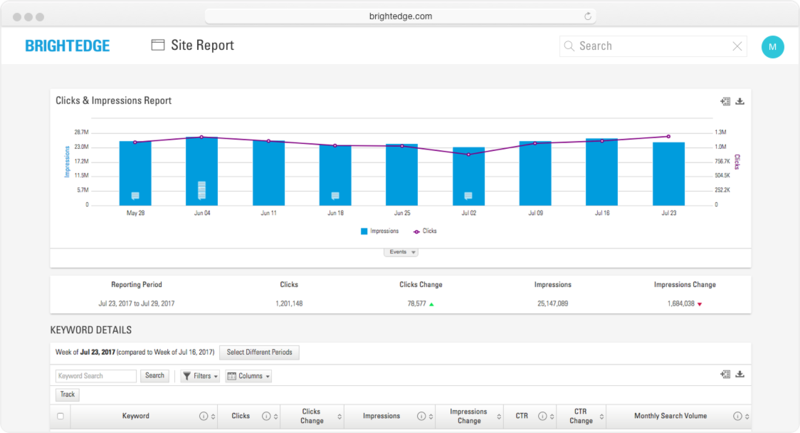 Analyze Clicks and Impressions to understand how often your content pages show up on SERPs, how that visibility trends over time, and how often customers click on your content links, translating into organic traffic. 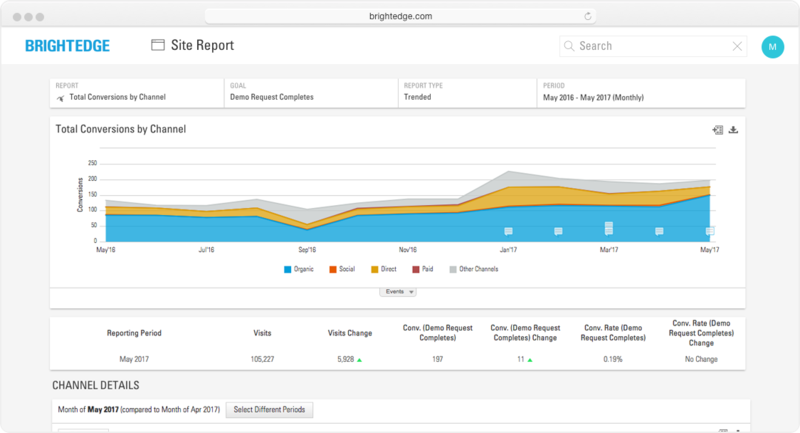 Ready to learn more about Site Report and other BrightEdge features? Website visitors acquired through organic, PPC, social, direct, and other channels may not convert at the same rate. 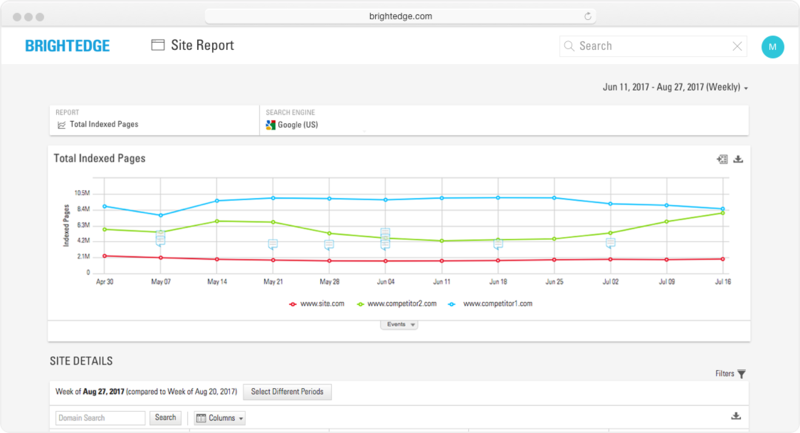 Site Report helps you identify top-performing channels by measuring conversions and revenue. 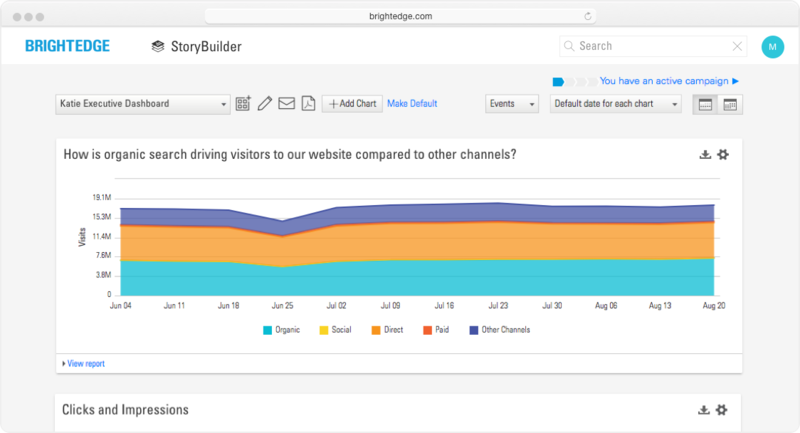 From Site Report, you can easily add a chart or table to StoryBuilder to customize your dashboards. Site Report also gives you quick access to Keyword Reporting or Page Reporting to review SEO recommendations based on keyword or website page.